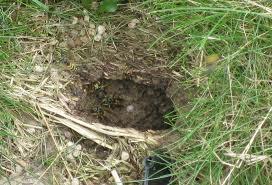 Yellow jacket removal and yellow jacket control is a service provided by Xceptional Wildlife Removal. Yellow jackets are sometimes considered beneficial insects since they eat other insects including spiders, scorpions, and centipedes. However, these pests can be a nuisance to humans and are very aggressive and will give you a painful sting if they are disrupted. Yellow jackets will only be active for one season and after end of the season, they will die and the nest will not be used again. Their commonly use structures, crawlspaces, barns, attics, and trees as nesting sites. Yellow jackets are extremely aggressive when they are disturbed and their nests can contain thousands of insects that will sting if they feel threatened. Many people are allergic to yellow jacket stings and do not know this until they are stung. 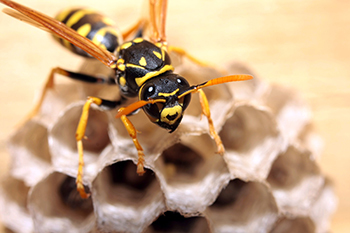 It is recommended that you contact your local wildlife removal company, such as Xceptional Wildlife Removal before your begin handling yellow jacket removal on your own. 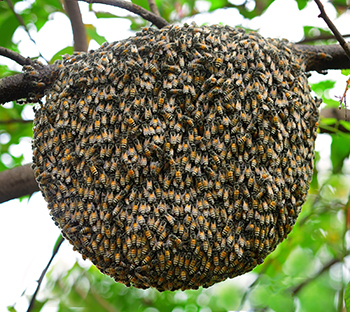 Typically, when a nest is stinging insect nest is removed, special protection will need to be worn to protect against their stingers. 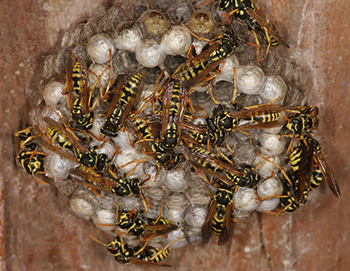 Once the nest is removed, the area is treated to deter any new wasps from building another nest. Call Xceptional Wildlife Removal today to have one of our Expert Wildlife Biologist to Provide Complete Yellow Jacket Removal Solutions!